According to reports, Arsenal are closing-in on a their first January signing after agreeing to meet Barcelona’s asking price for Denis Suarez following positive talks with the Catalans. 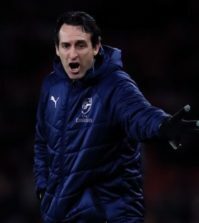 Unai Emery admitted earlier this month that he is keen to strengthen his attacking [and defensive] options this winter after losing Danny Welbeck for the rest of the season while Henrikh Mkhitaryan is also struggling with a fractured foot. Not the mention Mesut Ozil has been axed from the squad by Emery so it’s safe to say we need some fresh blood in attack and Suarez has emerged as the most likely candidate in recent weeks. The 25-year-old has been strongly linked with a move to Arsenal with widespread reports claiming we’ve been in talks with Barcelona. 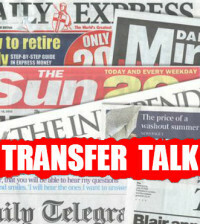 The player is understood to be keen on the move after struggling to establish himself at the Nou Camp but we’ve been haggling over the deal. It’s been reported Arsenal have been pushing for a simple six-month loan with the option to buy in the summer – which makes sense considering Emery says he has no money available this month – but Barca want to sell on a permanent deal. The impasse has left the deal hanging in the balance but the Mirror claim Arsenal are now hopeful of getting the signing of Suarez agreed following positive fresh talks with Barcelona. The Mirror suggest that Arsenal are set to agree an initial six-month loan deal with a compulsory clause to make the transfer permanent in the summer for around £18m. However, El Gol Digital go further by claiming a deal is already done after Arsenal finally agreed to meet Barcelona’s £14.2m valuation. The Spanish outlet doesn’t say whether it will be a permanent transfer this month or if the £14.2m deal would be completed in the summer after an initial loan but they do suggest Arsenal could sanction the sale of Mesut Ozil to Atletico Madrid once the Suarez deal is completed. I’d personally be disappointed if we lost Ozil and replaced him with Suarez as I think Mesut is a far superior player and is being harshly treated but I suppose if he doesn’t fit in with Emery’s philosophy then there’s no point having a £350,000-a-week footballer sitting on the sidelines. Suarez has played as a central midfielder for most of his career but he did play on the wing during his time with Emery at Sevilla so his versatility would be a useful asset if this deal does get over the line.